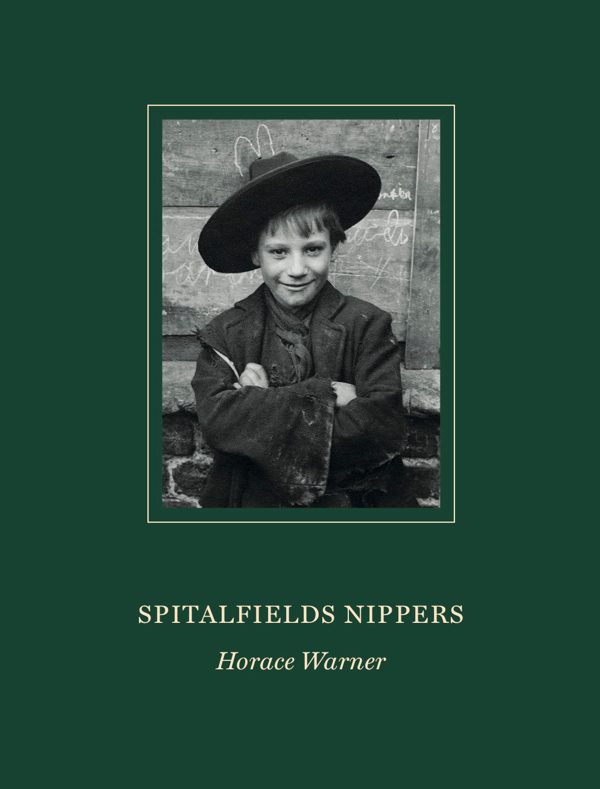 In his Spitalfields albums, Horace Warner collected together the portraits that he made of the people who lived in Quaker St around 1900 and, because he captioned some of them with their names, we have been able to trace the biographies of his subjects in the public records. When you see this tender portrait of Jessica Wakefield in her clean apron and her younger sister Rosalie in her check dress, it is impossible not to wonder what happened to these two and thus it imbues the photograph with an even greater resonance to discover that they lived to the ages of ninety-four and eighty-four respectively. I can no longer look at this picture without seeing it as an image of Jessica & Rosalie poised upon the threshold of life itself. Observe how Jessica places her arm protectively around her little sister who was four years and half years younger than she. Jessica had been born in Camden on January 16th 1891 and Rosalie at 47 Hamilton Buildings, Great Eastern St, Shoreditch on July 4th 1895. 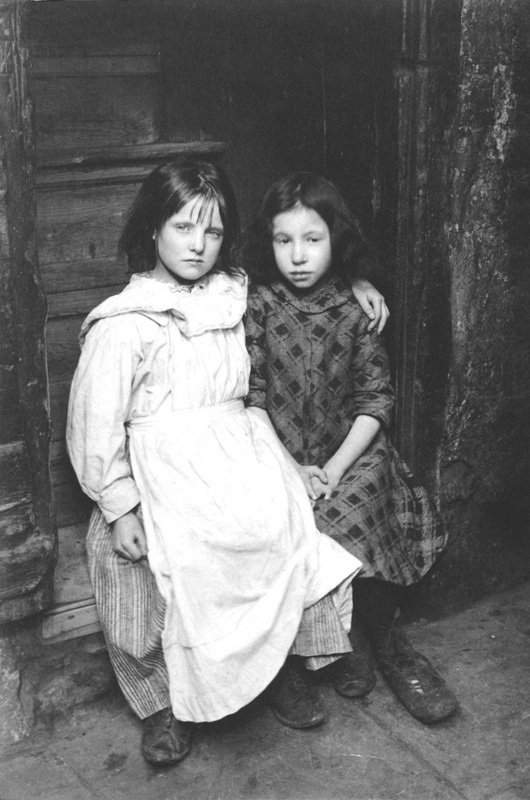 They were the second and last of four children born to William, a printer’s assistant, and Alice, a housewife.It seems likely they were living in Great Eastern St at the time Horace Warner photographed them, when Jessica was ten or eleven and Rosalie was five or six. Jessica married Stanley Taylor in 1915 and they lived in Wandsworth, where she died in 1985, aged ninety-four. On July 31st 1918 at the age of twenty-three, Rosalie married Ewart Osborne, a typewriter dealer, who was also twenty-three years old, at St Mary, Balham. After five years of marriage, they had a son named Robert, in 1923, but Ewart left her and she was reported as being deaf. Eventually the couple divorced in 1927 and both married again. Rosalie died aged eighty-four in 1979, six years before her elder sister Jessica, in Waltham Forest. Once we know what life had in store for the Wakefield Sisters, these bare facts deliver a poignant dramatic irony to their photograph. We hope they remained close and were able to support each other through the travails and joys of existence. Once Jessica & Rosalie come alive to us as individuals, we are left to contemplate the moment of stillness that was captured for eternity by Horace Warner in 1900. If one were attempting to rationalize the discipline (or craft) of local history, the above would do quite nicely. The very poignant photograph of Jessica & Rosalie reminds me of a photograph of my grandmother (born in 1894 in country Western Australia) . It has inspired me to keep writing and researching her life. She was brought up by an aunt who sent her to the other side of Australia by herself for 6 years to be educated. I have been able to trace an oral history interview with he when she was in her eighties. Local history is wonderful. I will be in London in May. 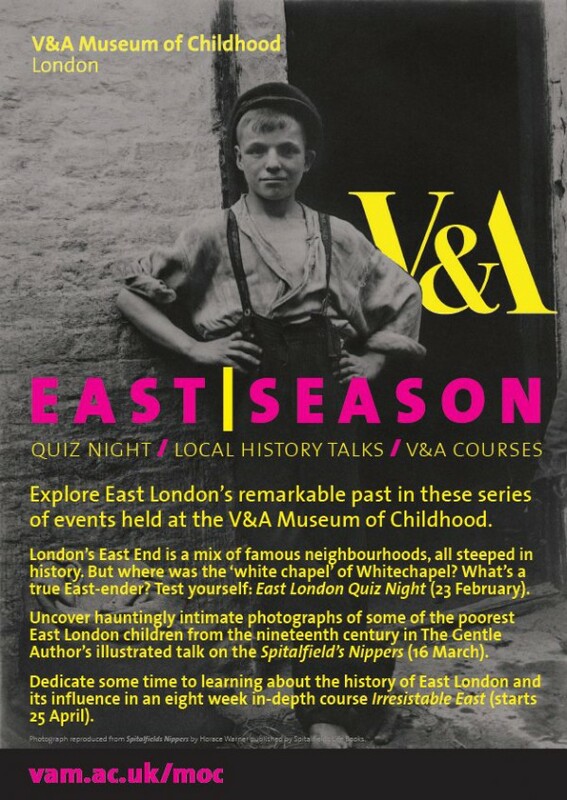 Will the exhibition of Spitalfields Nippers still be on then?